“Theresa really helped me through a difficult situation and provided a simple solution at a reasonable rate. I highly recommend Theresa for legal matters.” –T.C. “Back in the early 2000s, I taught Alternative Dispute Resolution at the Southern New England School of Law (now the UMass School of Law). Theresa was a star student in the class – she was always incredibly well prepared, engaged, articulate, thoughtful and effective. She struck me as a highly intelligent, dedicated student who was going to make a real difference in her clients’ lives, and I am sure she is doing that now – highly recommend.” –D.B. ‘Theresa was a helpful, caring and understanding resource. I recommend her and would use her services again.” –J.M. “Theresa is a consummate professional and zealous advocate. She has the interpersonal skills to address the delicate and sensitive issues in any family law matter.” –S.B. “Theresa cares about her clients and she is diligent in what she does. She represents the profession well.” –M.W. “It is rare that you find a professional like Theresa. 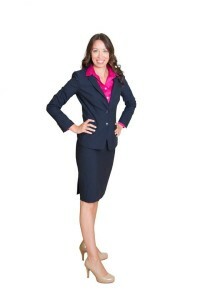 She is passionate about helping her clients and disciplined in her approach. It is clear she is on a mission to help her clients move forward in their lives. My work exposes me to people who have money and to people who have money problems. Theresa can help those with difficult problems see there is a light at the end of the tunnel.” –S.N. “Theresa is highly dedicated to her work in general and her clients in particular. I refer all of my bankruptcy work to her and, to a person, those clients come back to me raving about Theresa.” –L.U. “Theresa is an individual who practices with the utmost knowledge and professionalism. She possesses a great deal of integrity and is motivated to serve individuals who have undergone personal and business hardships. Theresa’s # 1 objective is to assist others. She does not place herself above her clients and she communicates with them warmly, openly and compassionately by humbling herself; she does this by sharing and utilizing her practical and professional experiences as a catalyst for helping. Theresa’s philosophy and honesty in practice is a rarity in this day and age when many individuals in business are egocentric and self-serving. I highly recommend Attorney Theresa Rose Degray without reserve and urge you to utilize her outstanding services.” –T.C. 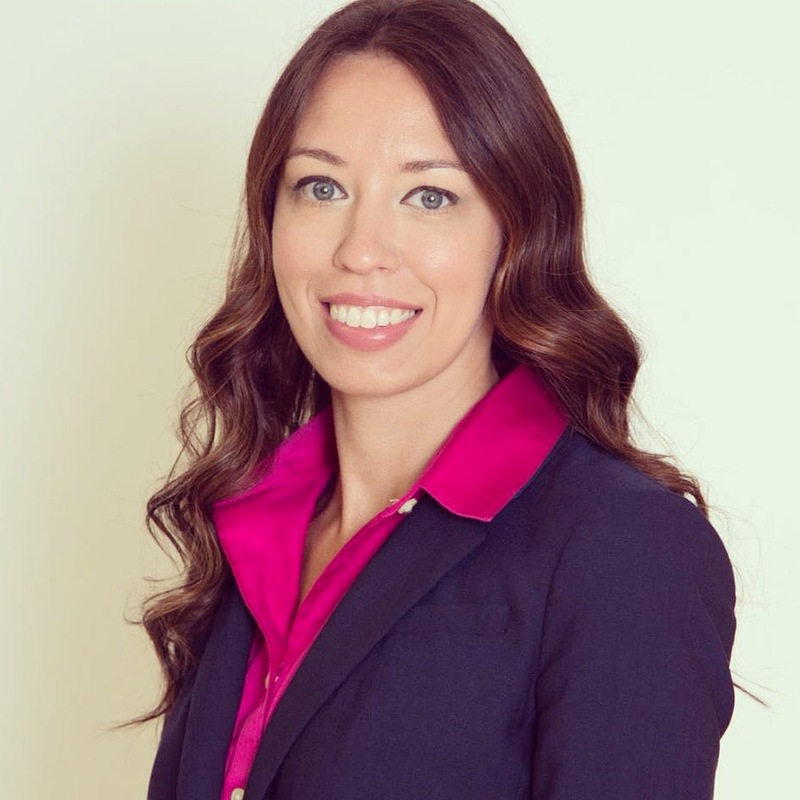 “Theresa is a skilled professional who has dedicated her legal career to helping consumers and the less fortunate protect and assert their rights.” –S.W. “I have known Theresa for many years. She is honest, hardworking and really wants to please her clients. Most recently she has helped my wife and I update our wills. I have a crazy work schedule and Theresa was very accommodating to my time constraints.” –C.B. “Theresa was a great help resolving some lingering issues I could not solve on my own. I would definitely use her again.” –M.D. “Theresa’s work ethic is second to none. She is thorough & takes care of the issue at hand in an extremely timely fashion & reasonable expense.” –D.L. “Theresa is an extraordinary attorney. She is an expert in her area of practice, and she always gets the job done! Her fees are very reasonable, and she is always available to answer questions and to update the progress of your case. I recommend her with enthusiasm and without reservation!” –R.H. “Theresa is a compassionate, thorough counselor and advisor who feels the pain of those who have come to face financial difficulties in their lives. I have found her to be knowledgeable about the areas in which she practices, and I would not hesitate to recommend her to a family member or friend.” –M.B. “Fearless advocate for her clients!” –P.R. “Theresa is involved in the community, cares about her clients and is diligent. Can’t ask for much more than that.” –M.S. “Theresa is a brilliant lawyer, highly ethical and a true advocate.” –D.A. “Theresa is exceptional at what she does. She listens and gives the best advice for the situation at hand. Her knowledge and span of legal knowledge is incredible. “Not only is Theresa knowledgeable, but she is trustworthy, effective and honest. She has the right mix of personality and the “get it done” attitude. She maintains the utmost integrity and compassion in any situation you seek advice or assistance with, and she is an absolute pleasure to work with. I would recommend her to anyone seeking legal advice or counsel.” –A.B. “Theresa Rose DeGray and I were in the Jaycees together for many years, and, during my tenure as a Jaycee, I found Theresa to be a wonderful asset to the team. She was always willing to work and was extremely enthusiastic. She’s great with people and is very reliable. Her correspondence skills are excellent, so if you have a question about how she can help you, don’t hesitate to contact her–you will get a reply!” –R.H. “Attorney DeGray is a professional who is a pleasure to work with and gets results.” –K.C. “Theresa is a caring, thoughtful and service oriented individual who puts her client’s best interests first. Recommend!” –C.U. “In working with Teresa in the past, I have found her to be bright, detailed, organized and articulate. One of her greatest attributes is her compassion for others and their individual situations.” –J.G. “Attorney DeGray and her assistant handled a legal matter for me in a responsive, well-organized and professional manner. –S.M. “Theresa is a bright and accomplished attorney! I recommend her.” –M.P. “Since I started working with Theresa a few years ago I have found here to be extremely knowledgeable of the laws relating to the consumers side of the “fence” that has ultimately benefitted me in a number of different scenarios. I always find her to be accessible, prompt to return email inquiries and phone calls and explain the legal process in layman’s terms prior to any formal action taking place. I would recommend her to anyone who may seek consultation or assistance on the next steps with debt related concerns.” –C.M. “I would recommend Theresa to anyone looking for a compassionate, highly skilled attorney. She helped me get through a very rough time and helped me to see the light at the end of the tunnel. I will always feel grateful that I chose her!” –J.C. “She is the best! She doesnt make u feel singled out or alone! She gets the job done and gives you confidence. She is trustworthy. She is dedicated. She does not stop until justice is served!” –R.H. “Theresa was court appointed to represent an elderly client (the conserved party) in a hotly contested conservatorship matter. She represented her client with great sensitivity and was very diligent in protecting her rights.” –P.B. “I found Theresa to be professional and compassionate. 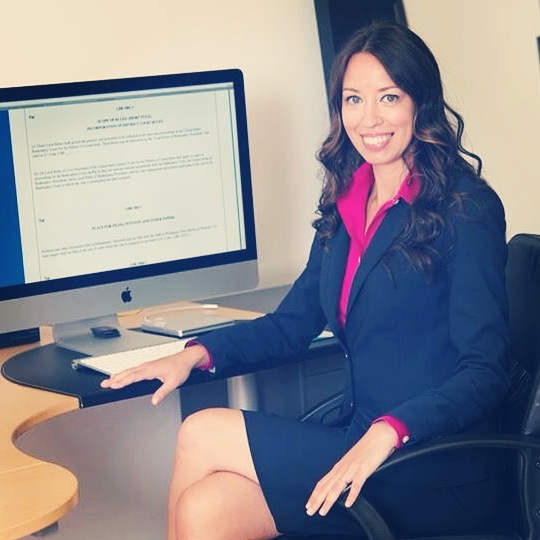 The fact that she has a shared experience with her clients makes her an excellent attorney. I would recommend her time and again.” –D.B. “Theresa is an excellent attorney who handled my bankruptcy case with great expertise and was a pleasure to work with. She worked with me to go through different options and her advice was right on all the way. She helped me through the paperwork and was very compassionate throughout. When it came time to appear at the hearing she was very professional and thorough and I always felt that she was on my side and cared about how things worked out for me. She helped me through a very difficult time and I can never thank her or her staff enough. Do not hesitate to hire her for any of your legal needs.” –C.K. “Theresa DeGray is an excellent attorney and a good friend. I recommend her to anyone in need of a lawyer for consumer credit and bankruptcy issues. She is professional and highly responsive to her clients.” –J.S. “Attorney Degray interned in my office in 2000 and was the finest we had in my 21 years. She has begun her practice of law the right way by providing hands-on direct assistance to her clients who come to her in times of great need. She is well- versed in the law and displays constant professionalism in all of her dealing, in and out of the courtroom. I would hire her myself if I had a case in her area of expertise.” –M.H. “I found Attorney DeGray to be professional, and proficient in handling legal affairs of her clients.” –P.V. “Theresa is knowledgeable and experienced in matters related to personal bankruptcy and fair debt collection practices.” –J.M. “At crossroads in my life, regarding my finances and being newly married, I hired Theresa to help straighten out my tangled financial issues. The guidance and direction has been thorough and assuring. While results take time, I can take peace of mind, knowing someone has my back in the “financial jungle” where large companies can always take advantage of those with little knowledge of the vast credit-debit world.” –R.P. “Theresa Rose DeGray is an attorney that I strongly recommend for any consumer facing financial/debt problems or any individual going through a difficult family issue. Theresa is a strong advocate for her client; knows the law; and is always willing to discuss real and practical resolutions. If you need an attorney to “go to bat” for you, she is the person.” –H.W. “Theresa Rose unequivocally possesses the skills necessary to navigate the increasingly complicated landscape of consumer law and litigation. I am never hesitant to refer existing and potential clients to her firm because of her dedication, knowledge, and follow-through. –R.W. “Theresa Rose DeGray is an excellent attorney who was very helpful and patience in providing both personal and legal guidance through my litigation. She explained the pros and cons of the process in detail, was very patience with my many questions and assisted in every step of the documentation collection and the litigation process. I highly recommend Theresa.” –J.A. “I found Theresa to be very professional and knowledgeable about her profession.” –D.N. “As someone who has spent a lifetime in the business of service to others, it is obvious to me that when you select a person to do a service for you, you have two choices. One, find a person in the vocation you need. Or two, find a person who really cares about you in the vocation you need. Attorney Theresa Rose DeGray is a superior attorney focusing on consumer legal services who really cares about her clients.” –J.K. “Theresa truly cares about the people she serves. She will do almost anything for anyone. She helped me stop a magazine subscription company from constantly calling me trying to hook me into a costly subscription scam! Thank you, thank you, thank you! !” –J.A. “Hard working and cares about her clients. Really wants to help people.” –E.C. “Attorney DeGray is thorough and knowledgeable. She is completely non-judgmental. At one time or another most people will need an attorney to represent them in areas that they have no knowledge of, and Theresa is the only attorney I would recommend for anything having to do with debt.” –L.B. 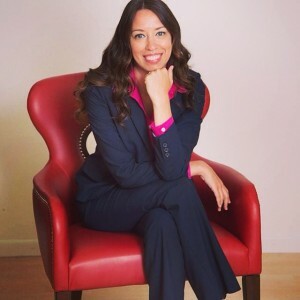 “Theresa is a dedicated attorney who will do her utmost to assist her clients. She does not hesitate to participate in important Bar Association matters and has the energy grace and competence to see a job through.” –C.G. “Theresa is a terrific young attorney with energy and drive. She has developed a passion and growing expertise in consumer-related legal issues, including the area of bankruptcy law. Maybe most importantly, she cares about her clients and will put in the work necessary to protect them and provide them with the best representation possible.” –J.W. “Theresa is a diligent, empathetic and hard-working lawyer. I don’t have a problem referring clients to her.” –M.M. “I refer all of my clients in need of bankruptcy assistance to Attorney DeGray. She is professional and thorough and knows all of the laws in the ever-changing federal bankruptcy world. I suggest that everyone in need of a bankruptcy attorney visit Theresa!” –F.R. “Theresa Rose DeGray is a compassionate and astute attorney who works diligently on behalf of her client. We were on opposite sides of a case when she was a brand new to the practice of law and I came away very impressed with her abilities. She is willing to take on difficult cases and sees them through to the end.” –K.P. “I’ve known the attorney as a colleague, and can reccomend her as a capable and trustworthy person.” –S.C. “Theresa is an excellent Bankruptcy attorney. Since I do not practice in that field I value fellow attorneys with that expertise. I have recommended Theresa’s services to many clients. Based on our professional dealings in the past I recommend her without reservation.” –C.C.